Skincare can be one of the most confusing things in life! Cleanse - Always wash your face before bed. Use lukewarm water when washing your face - Hot water dries out your skin, while cold water won't open up pores. Be gentle! Never use foaming/harsh cleansers on your face or body. Try my NCD Concentrated Cleanser - its gentle on your face, cleanses beautifully and smells great? Don't forget your neck! 2. Clarify - The idea with my NCD Concentrated Clarifier is to remove the layer of dead skin cells and dirt that are blocking your pores and your skins natural glow without the use of harsh exfoliation. Products that contain AHA's and BHA's (alpha and beta hydroxy acids) have been proven to gently exfoliate and make you look radiant. That's the NCD Clarifier! 3. 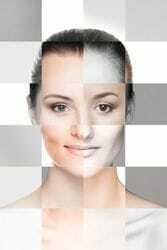 Moisturise - Be sure and choose a moisturiser that suits your skin type. Most people tend to think that they have sensitive skin. The best way to workout your skin type is to check how your T-zone (forehead, nose, chin) feels at the end of the day. Look to see if your T-zone is oily, dry or even just plain old 'normal'. Normally, people with dry skin tend to be the more allergic skin types. People with allergic skin and normal types should be using a gentle moisturiser that is free from harsh chemicals. NCD Concentrated Moisturiser is perfect! You don't want to harm the fragile natural barriers of the skin by using harsh products. If you have a drier skin or want a night or eye cream, try the NCD Concentrated Hydration+ Moisturiser which is great to use even during the winter when everyones skin needs a little extra hydration. 4. Micropeel - Clinical strength 28% alpha and beta hydroxy acid weekly peel for at home use. My NCD Concentrated Micropeel is designed specifically by me to give you the closest effect of an in clinic chemical peel but without the intensity. It gently uncovers a brighter, more youthful skin. Peels remove the outermost layer of dead skin cells, giving your face and neck a smoother, more radiant appearance. It also minimises pores. Perfect for those busy people who want amazing results in a matter of minutes. For a more intense peel, why not book for an in clinic chemical peel which comes in several strengths, depending upon the intensity that is required for the skin correction that you suits your needs. 5. Use Sunscreen - There are two (2) types of harmful/damaging sun rays - UVA which are the causes of premature ageing and UVB - which are responsible for the burning of the skin. When selecting a sunscreen choose the highest SPF protection you can get. The SPF is the only indicator of the amount of UVB protection in the product. If your sunscreen protects against UVA (ageing) it will be clearly visible on the bottle. The sunscreen produced by the Cancer Council offers great coverage and protection. 6. Have a HydraFacial - This is a amazing clinical facial machine. It uses a vortex type tip that infuses the cleansing, peeling and hydrating agents deep into the skin. Part of the HydraFacial procedure includes the extraction of impurities in the skin. Click here to go to the HydraFacial page to read more. Helping to put the pieces of the skincare puzzle together!